Ljubljana, Slovenia, November 1, 2016	(Newswire.com) - On October 27, 2016, the Constitutional Court of the Republic of Slovenia (Constitutional Court) completed its constitutional review of legal regulations used to support the expropriation of subordinated bondholders and shareholders of six Slovenian banks during the Slovenian bank bail-in. The Constitutional Court found that two articles, Article 350.a of the Banking Act (ZBan-1) and Article 265 of the ZRPPB, were unconstitutional because these articles deprived expropriated investors of the right to efficient judicial protection guaranteed by Article 23 of the Constitution of the Republic of Slovenia. It also ordered the National Assembly of the Republic of Slovenia (National Assembly) to remedy the established unconstitutionality by adopting a legal regulation to ensure efficient judicial protection of expropriated persons. Review of the Banking Regulations was triggered on December 4, 2013 when Expert Council Member of the PanSlovenian Investors' and Shareholders' Association (VZMD), Mr. Tadej Kotnik, filed a petition (Kotnik e.a.) for constitutional review with the Constitutional Court on behalf of 158 people who were expropriated as part of the Slovenian bank bail-in. 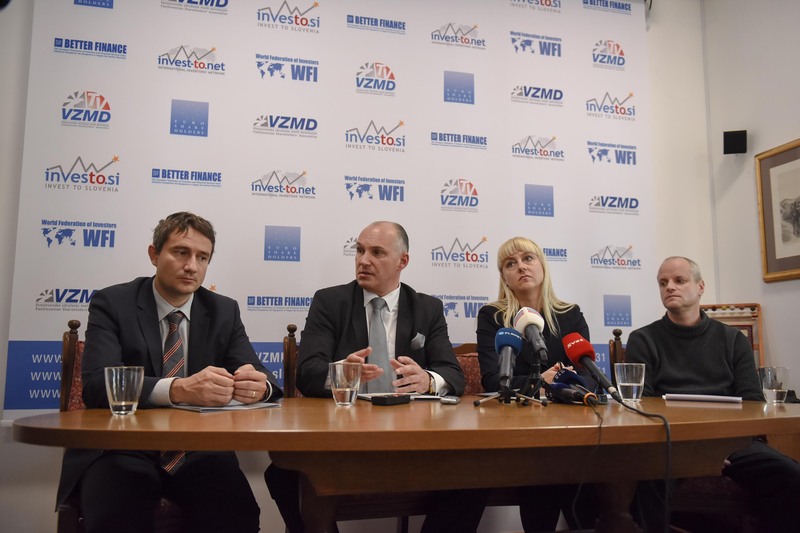 The petition was written with the assistance of attorney Mr. Miha Kunič and the support of VZMD. VZMD President, Mr. Kristjan Verbič, commented on the Constitutional Court's decision: "VZMD understands that the Constitutional Court focused on constitutional review of the relevant regulations only and did not deliberate on the Bank of Slovenia and whether its actions violated the investors' rights to efficient judicial protection. In accordance with the Constitutional Court's instructions, any questions regarding possible encroachments on the rights of expropriated investors will be determined in proceedings before competent courts. VZMD also hopes that the National Assembly will promptly act to follow the Constitutional Court's orders and will heed the advice of experts and national authorities when drafting the new regulations." The PanSlovenian Investors’ & Shareholders’ Association (VZMD) www.vzmd.si, was founded to protect the rights of minority shareholders and retail investors and is led by its President, Mr. Kristjan Verbič (Verbic@vzmd.si). Mr.Verbič is on the The European Federation of Investors and Financial Services Users (Better Finance), www.betterfinance.eu, a member of the Corporate Finance Standing Committee of the European Securities and Markets Authority (ESMA) and a member of World Federation of Investors (WFI).